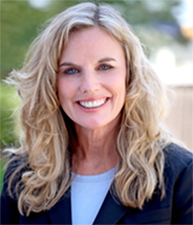 Sarah Steelman (Republican), the 44th State Treasurer, was born May 3, 1958. She received a Bachelor of Arts in History and a Master of Arts in Economics from the University of Missouri-Columbia. Mrs. Steelman was first elected to public office in 1998 as a senator from the 16th District. She was re-elected and served until 2005. Mrs. Steelman also served in roles with the Missouri Department of Natural Resources, Missouri Department of Revenue, Lincoln University and Big Brother and Big Sisters. In November 2004, she was elected State Treasurer. She served until 2009. While State Treasurer, Mrs. Steelman focused on investment policy for the office. She and her husband, David, live in Rolla with their three sons.